Repack and Roses : Bikes. Rants. Adventures. 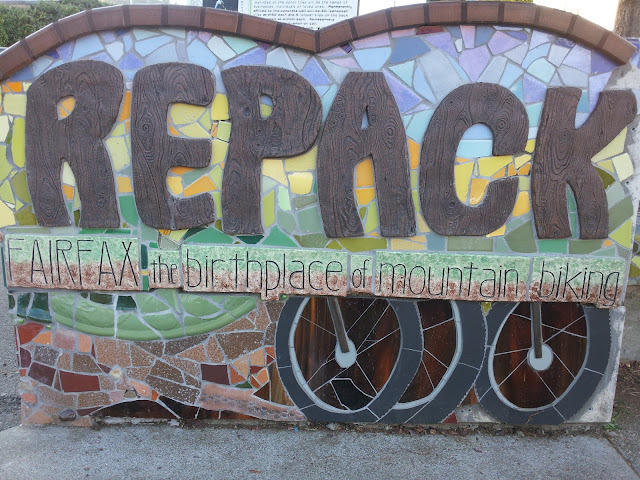 I found myself at the birthplace of mountain biking this weekend. It was purely by accident as well, as I was merely heading up to Fairfax to meet family for the afternoon and wandered upon a monument. So named for the fact that you had to repack the bearings after every ride. Having just read this book, I had learned all about the history of this area, the birth of mountain biking, and the people that started it. 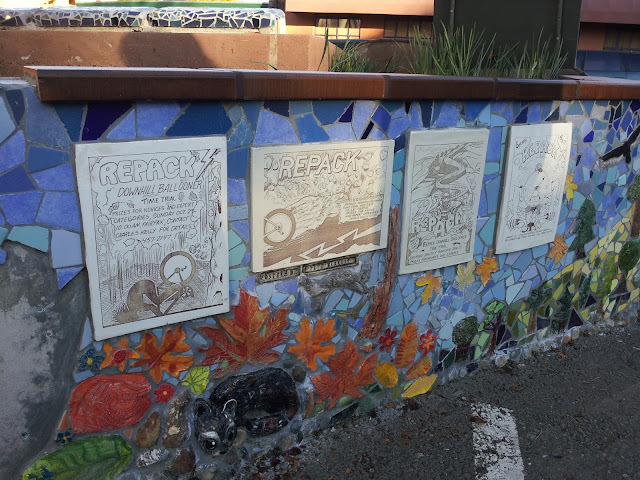 I was stoked to see that Fairfax has decided to honor these legends with this monument! Fairfax itself was one of the most bike friendly areas I'd ever seen - seemed like everyone was out riding, bike racks were more full than parking lots, and the infrastructure for cyclists in this little town blew my mind. Posters advertising Repack Races, also part of the memorial. 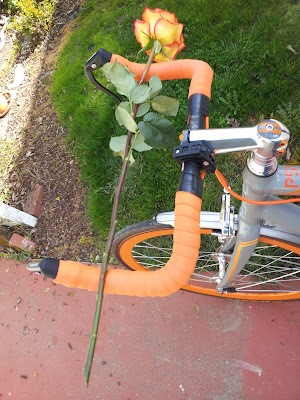 I also had the privilege of trying to figure out how to get a rose home undamaged on my bike this past Saturday. I stopped at the local florist to pick up some tillandsia, and the wonderful man working there gave me a rose! It took some finagling, but I managed to affix it to my bag in such a way that it stuck out the top and remained safe the entire ride home. I wonder what the cars that passed me must have thought. California had a very spring-like past few days, and the riding has been wonderful. This always happens, and it will get cold again, but it was nice to be riding in shorts and a short-sleeved jersey again for a bit!